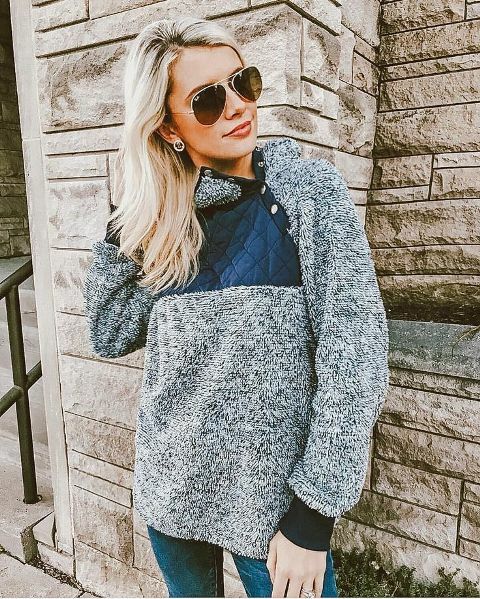 If you are still looking for cozy and comfy outfit ideas for this winter, then you can pay your attention to one of the warmest and most stylish sweaters and jackets at the same time — a sherpa one. 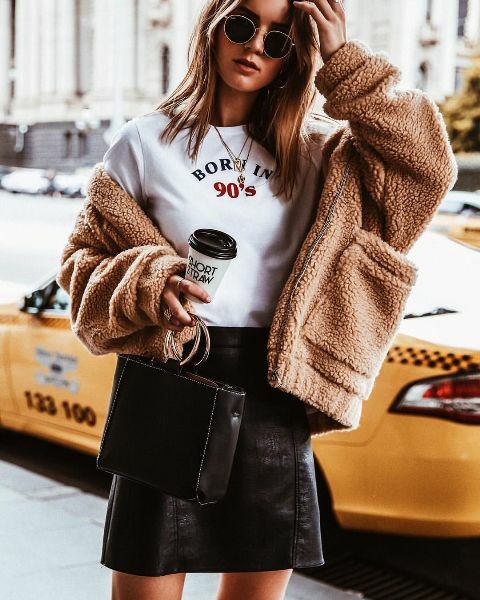 I’m sure you know that nowadays they are very popular among fashionable men and women around the world, so you can boldly follow their examples and create trendy outfits too. 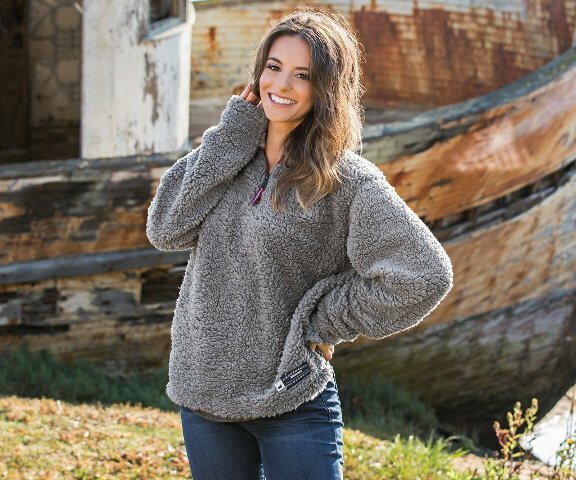 But what is a sherpa fabric? 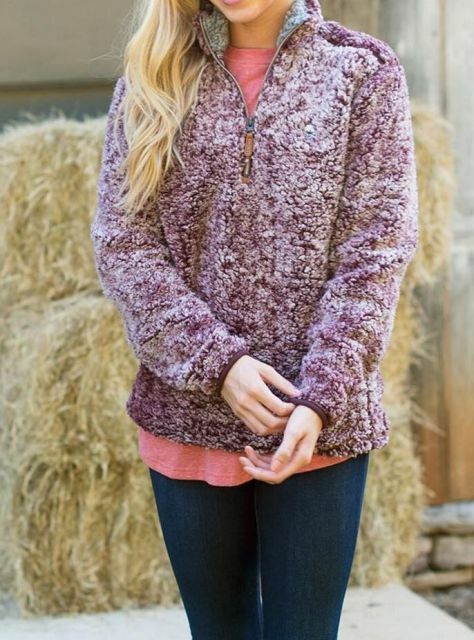 So you should know that it is a synthetic fabric that is similar to a faux fur and an imitation of a fleece or a lamb wool. 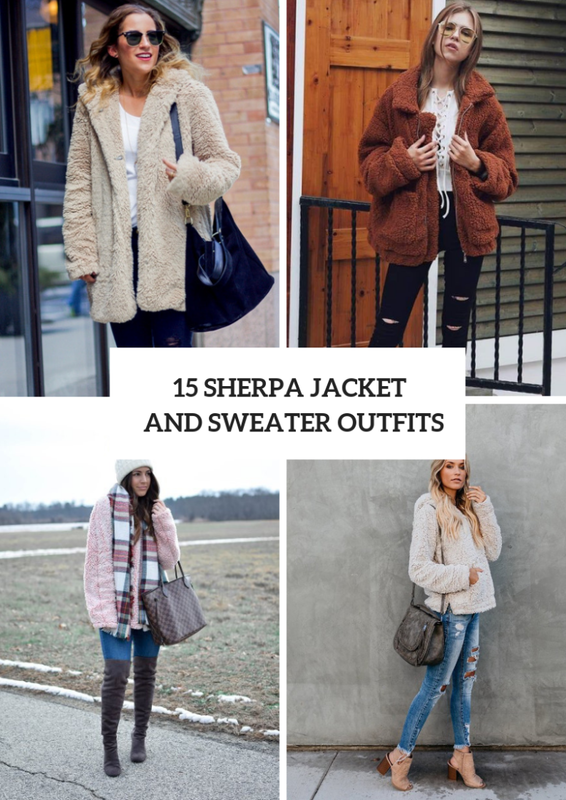 Today I want to share with you some cool look ideas with a sherpa jacket (or cardigan) and sweater, just scroll down. For colder days you can take a pale pink sherpa sweater and combine it with a plaid scarf, a white pom pom beanie hat, skinny jeans, dark gray suede over the knee boots and a printed tote bag. 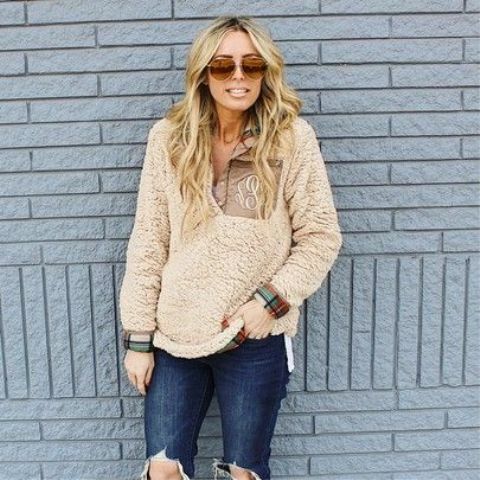 But for other days you can mix a distressed skinny jeans (remember that this type of sweaters perfect looks with any kind of jeans) with a beige loose sweater with a hood, a dark gray bag and cutout heeled boots. Or you can find a striped oversized pullover and pair it with a skinny pants and light brown suede ankle boots. Wanna something feminine? 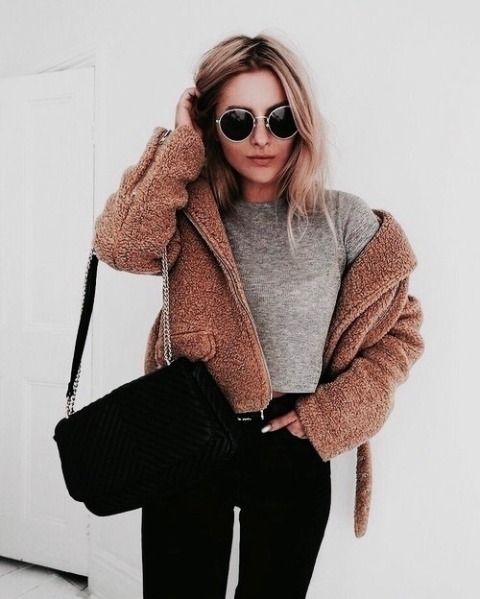 Then you can try to repeat a combination with a labeled t-shirt, a light brown sherpa jacket, rounded sunglasses, a black leather mini skirt and a black mini bag. Or you can mix a white lace up blouse with a brown jacket and black distressed skinny pants. Don’t forget to add various accessories to these looks such as a black leather backpack, a black chain strap clutch, oversized sunglasses or bracelets.